Not every self-proclaimed blockchain innovation has dependable use cases. Talking about IOTA (MIOTA), the platform is invented to bring a revolution to the Internet of Things (IoT). Nevertheless, IOTA has applications beyond the IoT due to its scalability, fast and free-of-charge advantages. When one looks around, it is no doubt that many people are talking about IOTA. The accolade won’t be outstanding if TWO is not mentioned. 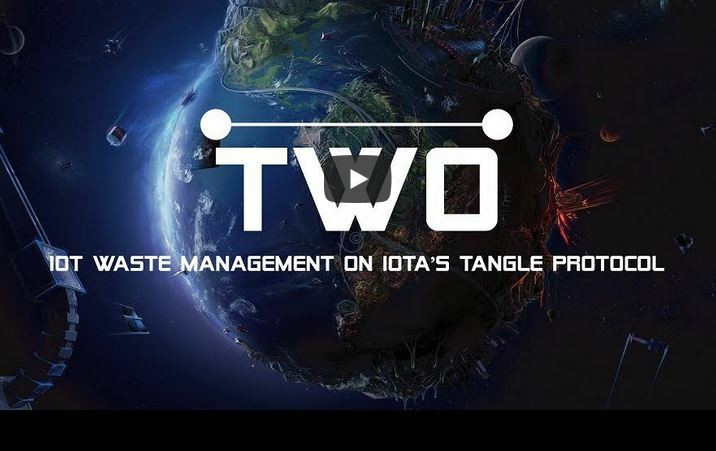 TWO is an idea making use of the Tangle for their project to solve the waste management problems. TWO – IoT Waste Management is centered on making an “airport’s or a city’s waste management more efficient”. TWO wants to “equip waste bins and containers with sensors which not only provide a real-time overview about the waste levels inside, but also “order” the truck fleet once they are full”. According to Hello IOTA, TWO indicates that it aims at saving lots of funds and giving the waste management service the avenue to provide a complete ledger of their contract, from clearing the bin until the drop-off at the landfill facility. “Every waste bin will be equipped with a sensor which everyone is probably familiar with: a vehicle reverse sensor (the thing which normally warns you before you bump against a wall with your car)”. The sensor however, has a WIFI transceiver aboard and a Lithium ion battery that has 3 years of longevity. TWO will have its first client to be an airport. For example, the airport has a smart contract with a waste management company. It is this contract that settles the payments for trucks that take away the garbage. In this wise, the airport will have a “tangle-based monitoring and analytics platform” that acts the moment garbage can is full. The truck is notified and then picks up the waste and takes it away. it is possible that some waste managers collect empty bins and still demand money for this service. Nonetheless, with TWO, for the fact that data stored on the Tangle is tamper-proof, you do not require lawyers to settle this issue. The smart contract being made use of won’t approve the transaction because it will “see” that the bin was not empty. This guard against fraud and result in cost-effective services. The most interesting thing is that IOTA Tangle which is to be used offers fee-less transactions of data and value.